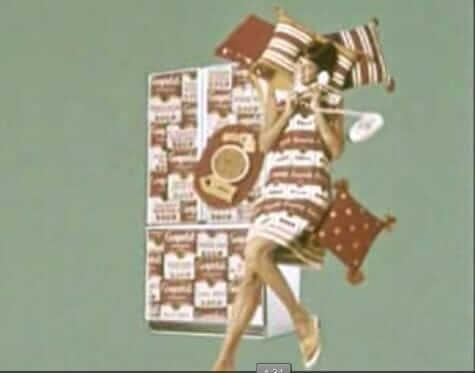 Tips to using the slide show: Click on the first thumbnail… the image will enlarge… move forward or back using arrows below the caption… you can start or stop at any image. 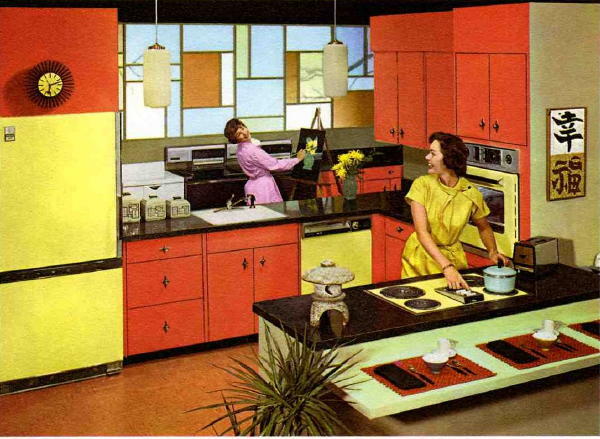 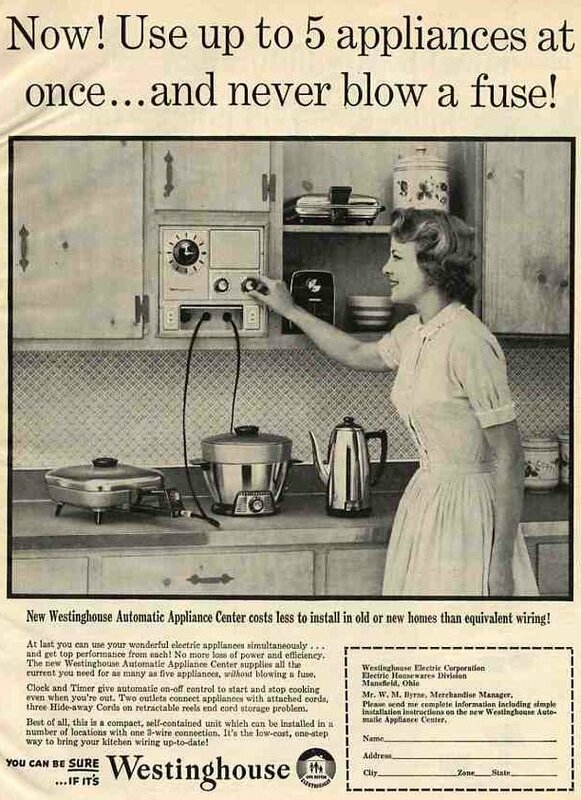 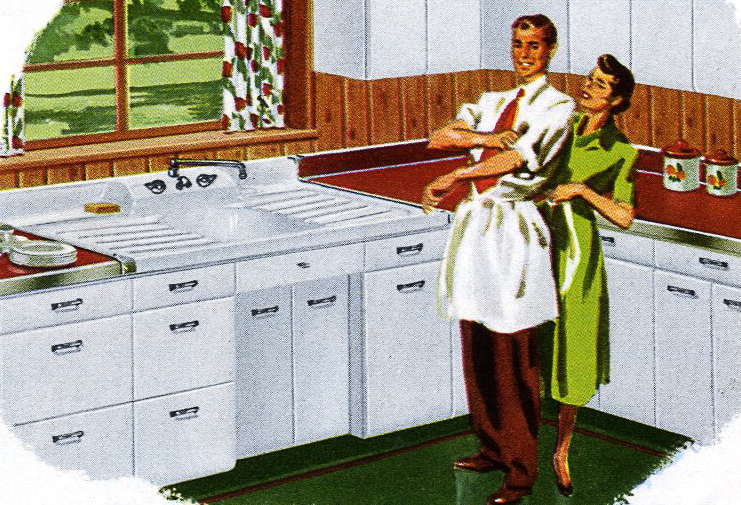 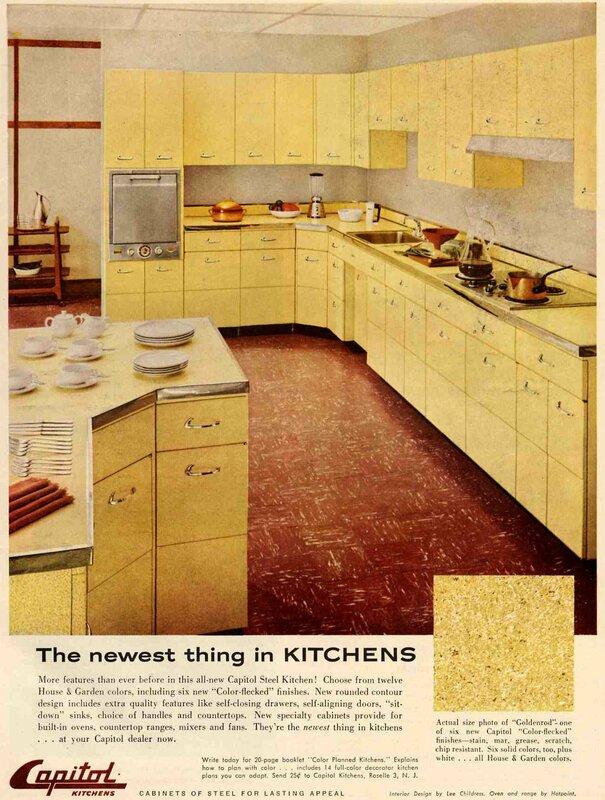 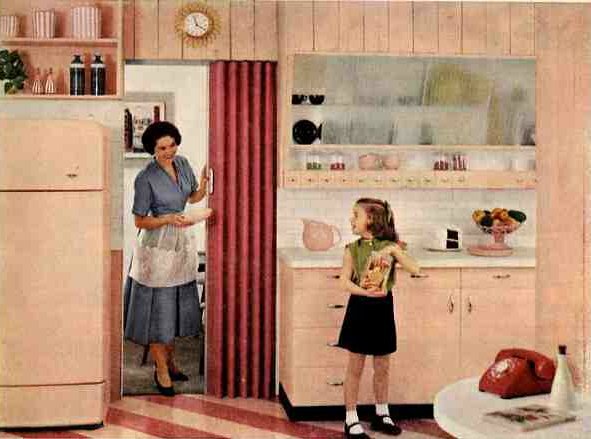 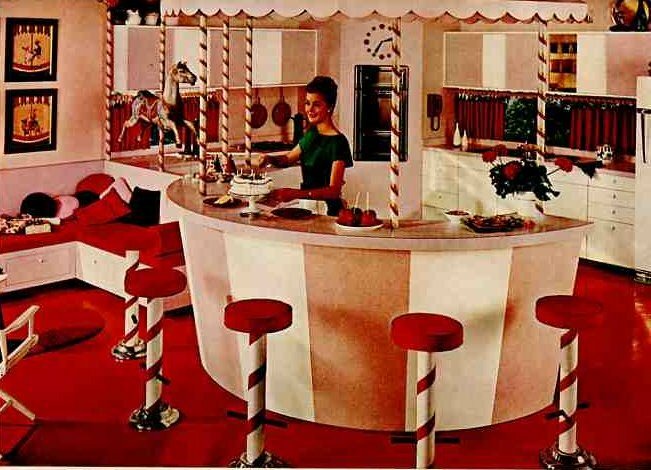 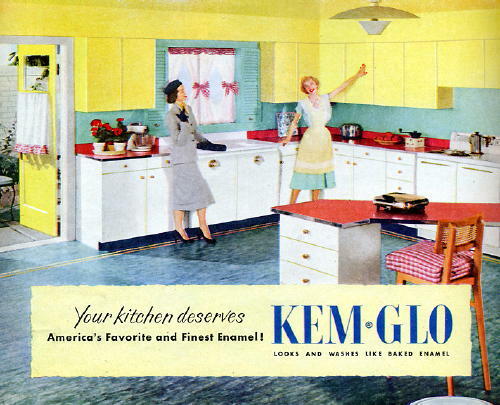 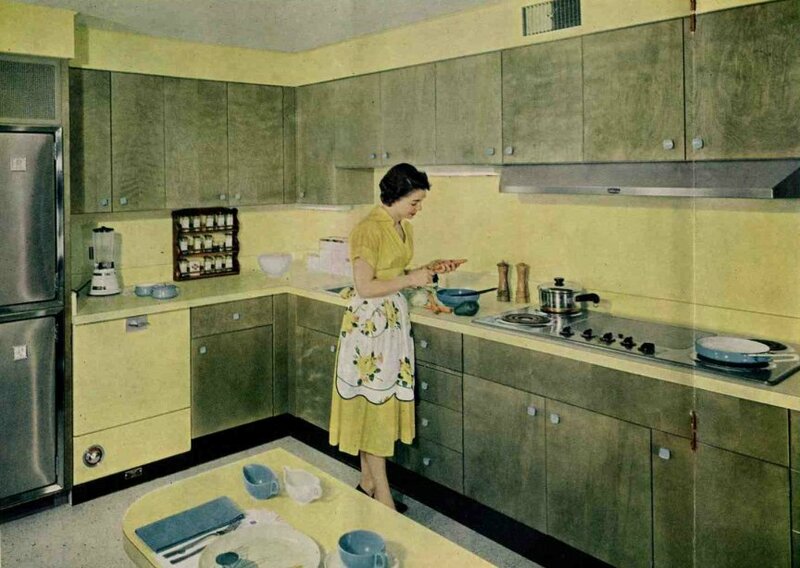 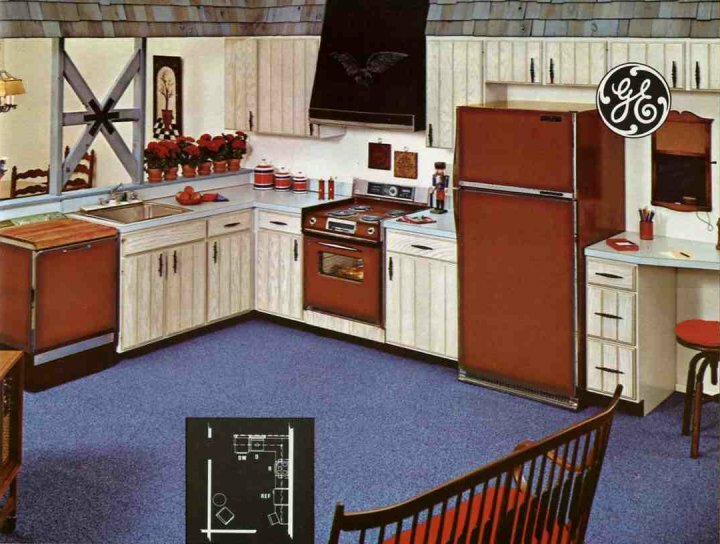 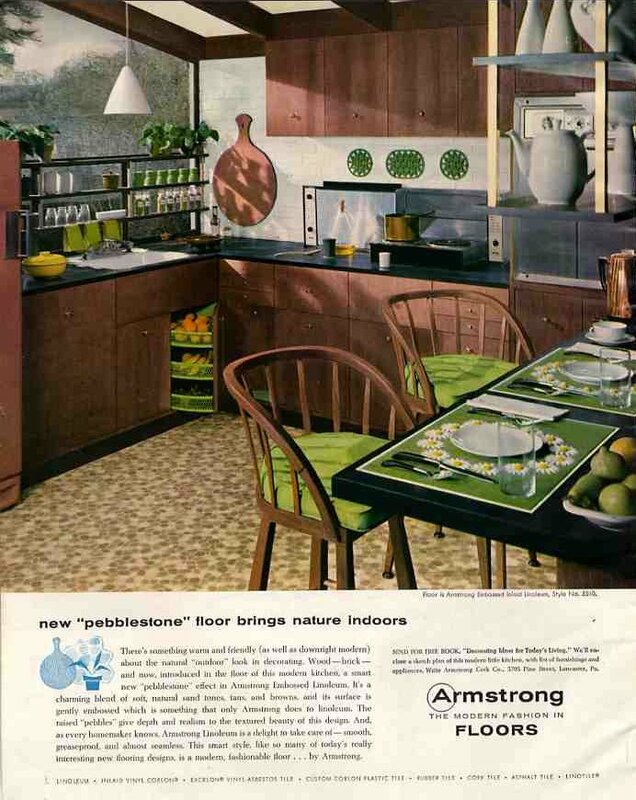 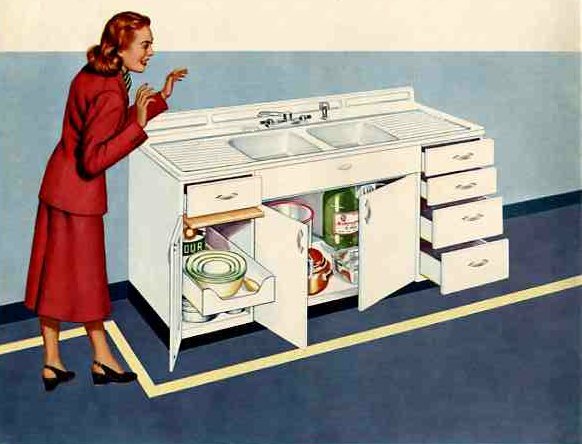 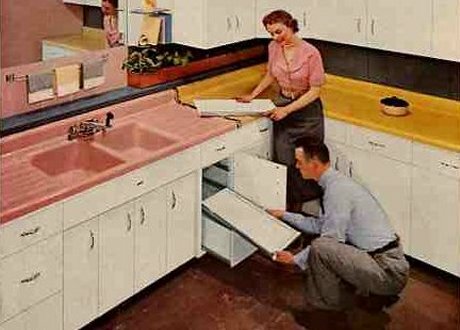 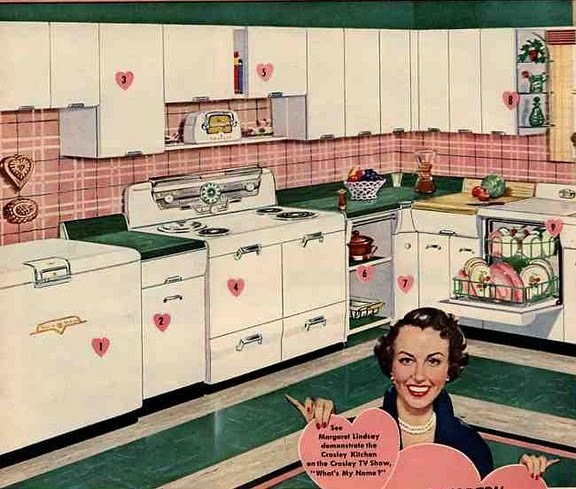 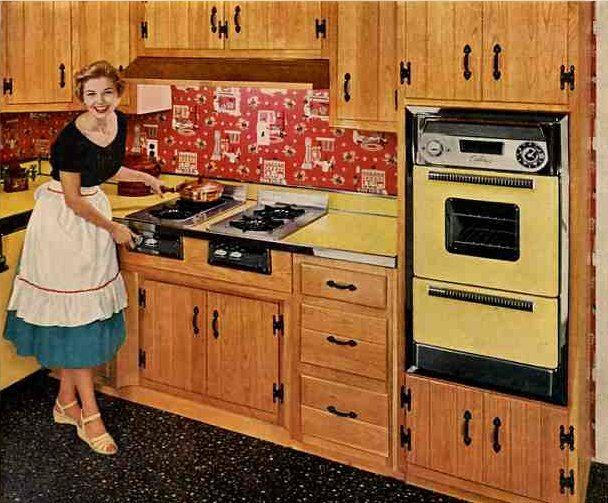 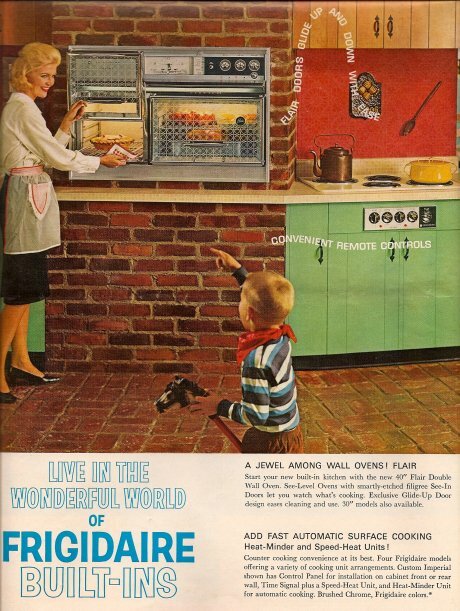 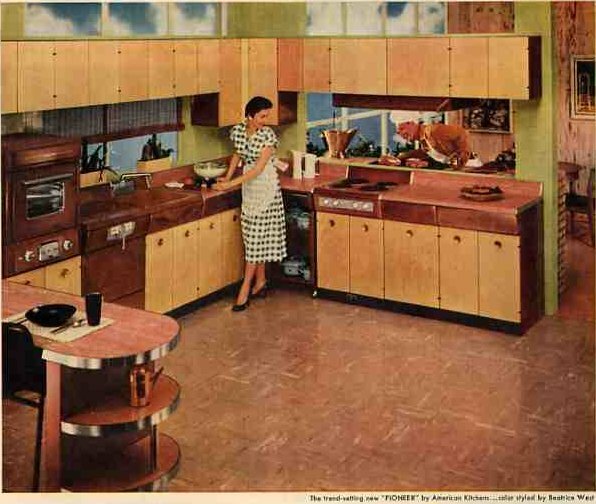 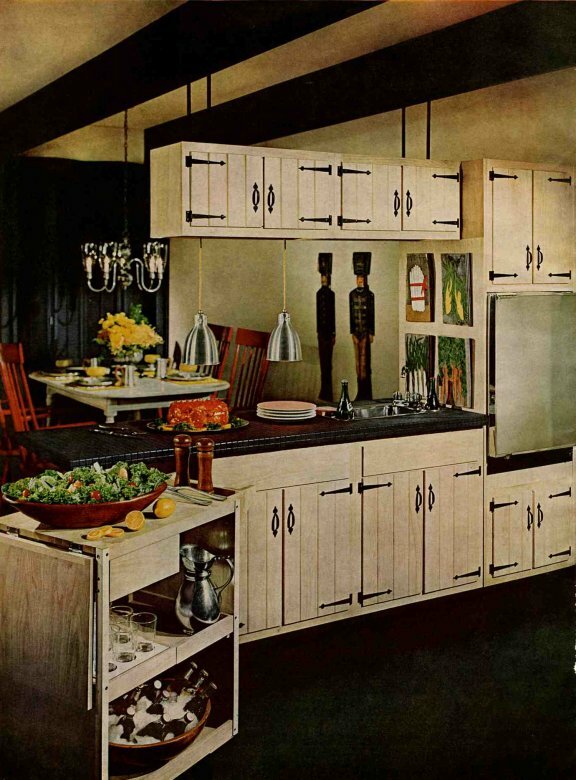 Can I describe the history of kitchens from 1946 to 1966 in the captions of 24 photos? 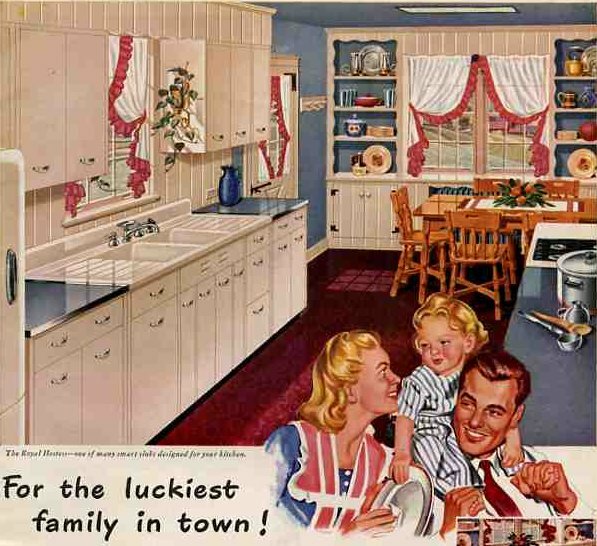 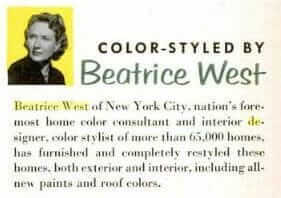 Here is a cheerful cliffs-notes attempt that includes: Modular sink bases for thrifty farmhouse homemakers… The importance of sanitary kitchens… A short history of steel kitchen cabinets… The ubiquitous knotty pine… The brief popularity of pickled wood… Remembering 40″ stoves… Wishing for appliance centers… Wishing for drainboard sinks… Lingering over Mondrian kitchens… Celebrating coppertone… and more. 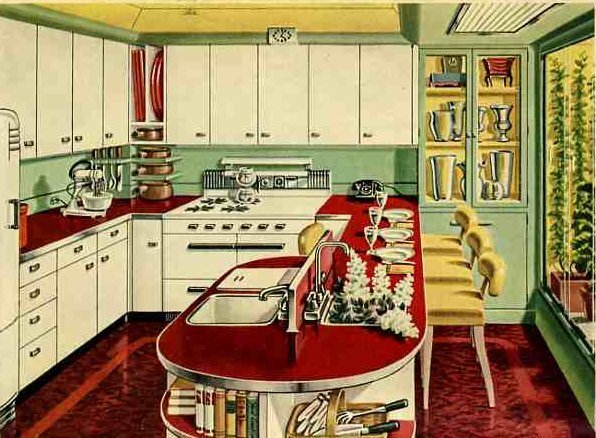 Honestly, I can’t say which of these kitchens is “my favorite”. 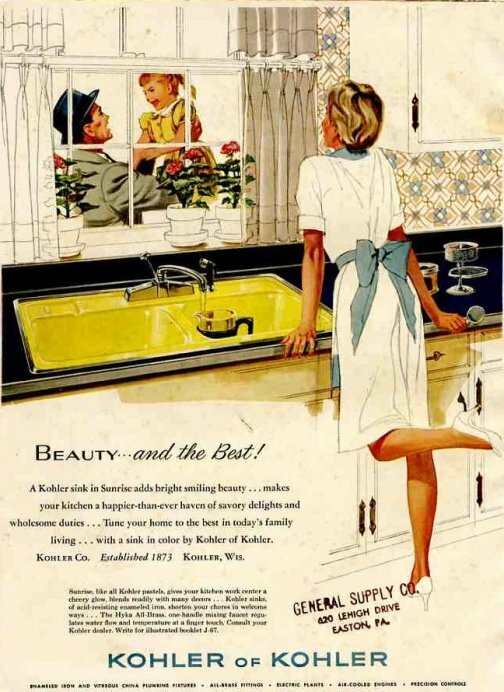 They each reflect a particular point in history, so in many cases it’s impossible to judge any one “better” than the next. 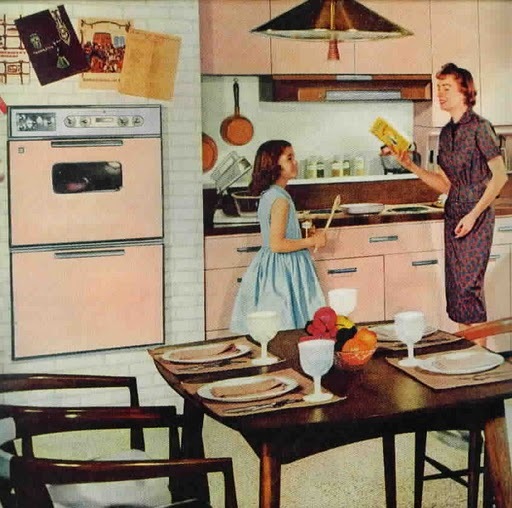 image 12: we have two modernfold doors in our house, and one is off the kitchen. 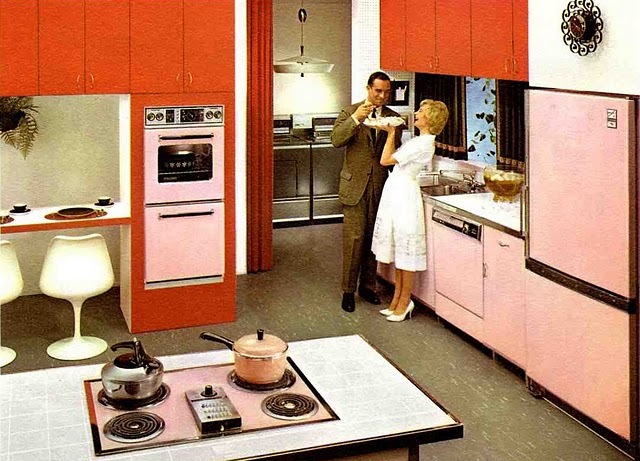 If only they were pink!!!!!! 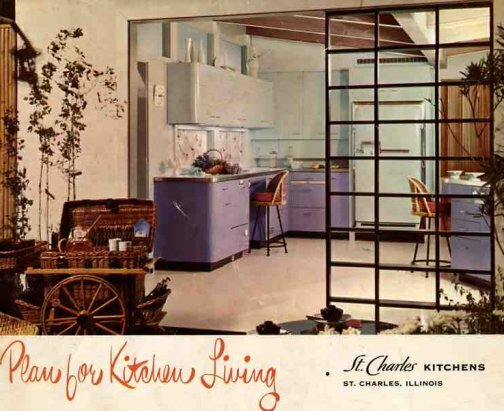 Kitchen was last updated in the 50s, and I guess these doors were marketed up here in Western Maine, LOL!